I really enjoyed attending the Tampa Twilight Criterium in downtown Tampa on Saturday afternoon. I took my son with me in a backpack, and while I took photos, he provided commentary – “Whoooooooah!” – I think he was impressed that they were just a little faster than his Red Ryder. Having done a few of these myself, I can relate to the challenges of working with a city to orchestrate an event like this. 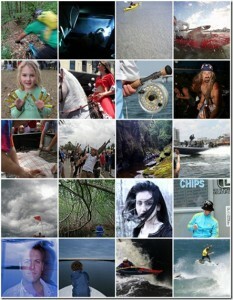 But the organizers, police, and City of Tampa were all accommodating and everything seemed to go smoothly. My camera doesn’t really have the chops for this kind of combined light and speed, but I made the best of it and am happy with how a few came out. I just feel lucky I didn’t get my block knocked off. Hopefully the guys didn’t mind! 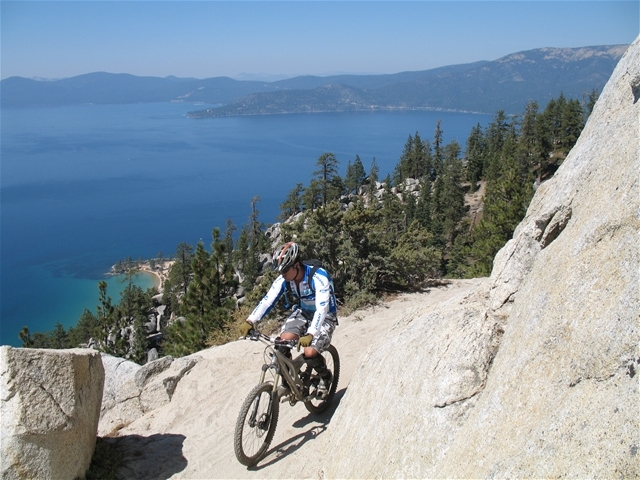 Because the ski season for Lake Tahoe is off to a very slow start, I am still mountain biking pretty regularly. Keystone Canyon offers a number of different trails to ride upon, one of which being Evans Trail. Simply ride up from the trailhead off of McCarran Blvd and veer right when the trail crests at the looming mechanical towers. 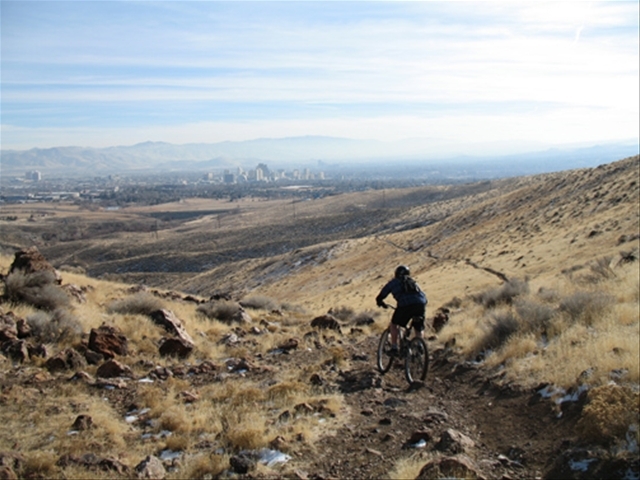 All along the trail one is afforded nice views of Reno, and there is actually some decent technical riding to be found. You descend down into a slot canyon, head left at the bottom, and eventually you switchback your way back to the top. From there you blast your way back down Keystone Canyon to the car. Not a bad little ride considering its close proximity to the city. Marlette Lake is situated above the East Shore of Lake Tahoe between Spooner Summit and Sand Harbor. What is most notable about Marlette is the fact that it has been a source for trout fishing since 1887 when it was first stocked with Cutthroat Trout. Today, it is still used as a source for Rainbow Trout eggs, which are gathered during spawning season in tiered gates that run into the south end of the Lake. They are then transplanted in both Lake Tahoe and Walker Lake. Fishing is allowed on the Marlette Lake, but you must use barbless hooks. If you get lucky, it is catch and release. Marlette is also a popular area for mountain biking and hiking, and you will often see people circling the Lake to access the Flume or Rim Trail. Keep in mind that biking is only allowed on even days, so if you are planning a hike you might want to do it on an odd day. Regardless, it is beautiful, especially in the fall when the aspen leaves turn a vibrant gold and yellow. This past Sunday I met up with a couple of my fellow colleagues from Twelve Horses, and rallied up to the Lake Tahoe Basin for a little mountain bike ride. 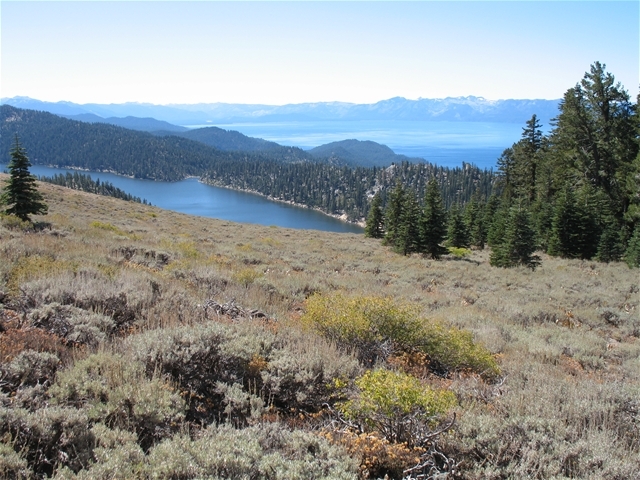 We selected the 23 mile loop that takes you from Mount Rose Meadows, out along the Tahoe Rim Trail, around Marlette Lake, back on the Flume Trail, and down Tunnel Creek Road to Ponderosa Ranch.